A 97-year-old man suffered life-threatening injuries after being hit by a vehicle in Scarborough on Wednesday morning. Toronto police said the man was crossing from the south side of Sheppard Avenue East, near Allanford Road, at around 8 a.m. when an eastbound driver collided with him. Initially, paramedics classified his injuries as “serious but non-life-threatening.” Police later said the elderly man’s condition had worsened. He was rushed to a trauma centre for treatment, where he remains. Police said the 61-year-old driver involved in the collision remained at the scene. 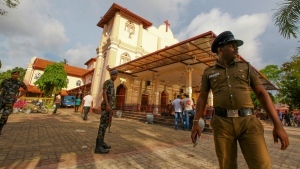 He is cooperating with police in their investigation. According to Sgt. Alex Crews, the pedestrian island near the intersection was not being used when the crash occurred. "I just ask that drivers, especially in this particular area (where) there (are) a lot of elderly pedestrians, that they be extra vigilant to ensure that they watch out for our vulnerable road users," Crews said. A portion of Sheppard Avenue was closed for several hours while police surveyed the scene. Anyone who witnessed the collision or anyone who may have dashboard camera video of the incident is being asked to contact Toronto police. 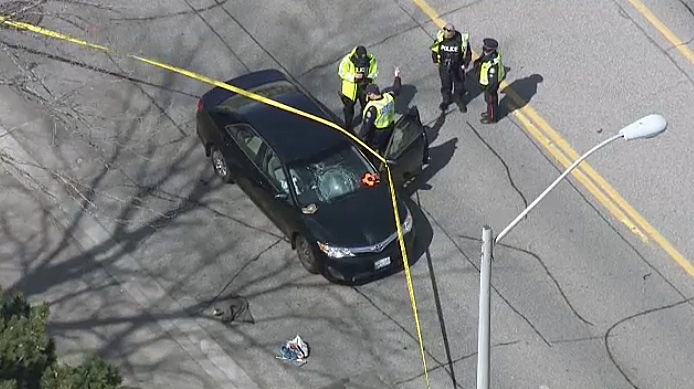 Toronto police investigating after an elderly man was hit by a car in Scarborough on April 17, 2019.